Have you been having trouble with your boiler in the Chessington area? At Chessington Plumbers, we are the number one choice whether you are a resident of KT9 or KT10. We bring you the best quality of work, backed by a 12-month written guarantee, so that you can really know for certain that the work done on your boiler is of the highest quality. When you get boiler service done, you should only entrust your work to Gas Safe registered plumbers. No matter what time of the day or night you call us, the nearest Gas Safe plumber from Chessington Plumbers will be on the way within moments. Our advanced dispatch process means that you never have to wait long for fast, friendly, professional service. Whether you need installation, repair, or maintenance, we know everything there is to know! – Hybrid boiler of any kind? Our goal is to help you keep your boiler in top condition so that it doesnt have to be replaced. If it does need replacement, we can also assist you with installation. Dont forget: Getting your boiler maintained by a registered professional is the best way possible to save money when it comes to your heating expenses. 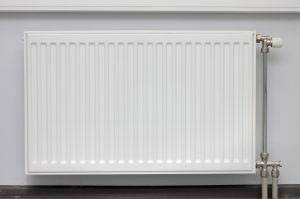 Our power flush techniques will completely cleanse your boiler of build up that can reduce its efficiency and lead to problems. You should only trust our Gas Safe Chessington Plumbers with your boiler needs. They are fast, efficient, and have realised their professional goals by becoming undisputed experts in the world of boiler maintenance. Whether you want repair, central heating installation, upgrades, power flushing, a new diverter or pump, or even a thermostat, call us. The best heating repair plumbers in Chessington are waiting for you to ring!